Host your infrastructre in Australia’s most secure Datacentres. 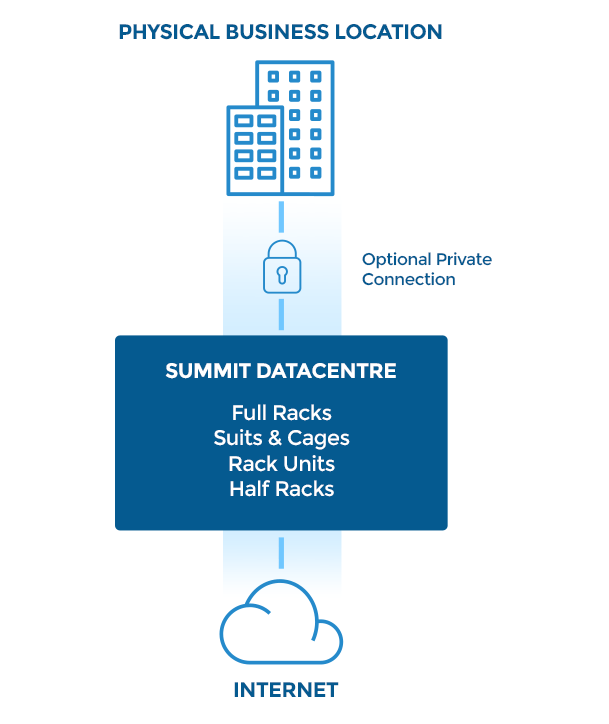 Summit offers flexible colocation for those needing to colocate 1 or 2 servers, a NAS (Network Storage Server), Offsite Backup or Disaster Recovery Solution. If you require 1 or 2 RU of rackspace, or a 1/4 or 1/2 rack, Summit can assist you with colocation in Melbourne, Sydney, Brisbane and Perth. Need a whole rack, or two, or even three or more? Summit offers datacentre colocation by the rack in our Melbourne Datacentre, Sydney Datacentre, Brisbane Datacentre or Perth Datacentre. Utilising the best Melbourne Datacentres, Sydney Datacentres, Brisbane Datacentres and Perth Datacentres, we have partnered with Equinix and NextDC to offer secure, reliable, scalable Australian Datacentre Colocation. Outsource your entire datacentre operations – Installation, Maintenance, Remote Hands, Network Management, IP Transit and Private Connection. Our Managed Datacentre solution is a truly end to end solution. Summit has proven to be a great choice for Nova IT. With their datacentre, we’re delivering robust cloud solutions to our customers. This has given us the advantage when offering end-to-end solutions to our clients. Our cloud business has grown rapidly since moving our infrastructure to Summit. Their technical team have assisted us with networking and connecting our customers to our cloud with managed MPLS networks.